People everywhere consider autumn to be one of the most beautiful and enjoyable times of year for many reasons. From the trees trading their brilliant green coats for warmer golds, reds and oranges to the cooler weather settling in to the potential for pumpkin spice everything and steamy apple cider, there’s a lot to look forward to this time of year. 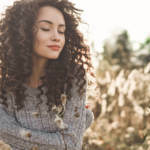 The only thing most people despise about autumn in any sense is the potential damage to their hair, especially if their hair type is of the curled or coiled variety. We understand your pain. That’s why we’re coming to your rescue with this handy guide on how to help your hair survive these next few months of autumn! Now that the weather’s cooling off, you’ll definitely be tempted to bust out different varieties of hats than the standard summer baseball caps and floppy sunhats. If you have curly or afro-textured hair, however, you’ll have to be judicious when it comes to the types of hats you wear. Pay special attention to the fabric your hats are made from. Thicker fabrics, such as cotton or wool, are well known for their vampiric qualities toward your hair’s moisture. 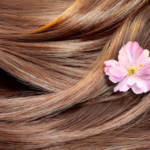 To help your hair stay hydrated, you may want to stick to lighter materials, such as silk and satin. Investing in a quality hydrating shampoo would be a good idea as well. If you prefer feminine styles, try investing in some scarves to add to your wardrobe. There are also a few online shops specializing in satin-lined beanies and other types of hats to ensure you can stay on trend without drying out your follicles. Sulfate free shampoo and conditioner keeps curly hair tamed. It’s true your hair needs just as much protein as the rest of your body, but not too much! Tons of protein can easily combine with the cool autumn weather to render your hair into more of a helmet. This comes from protein strengthening your hair on a structural level. The trick to preventing this is to keep your hair as hydrated as possible. In addition to any oils you may use, you should also invest in a high-quality leave in conditioner, which will add extra moisture to your hair. A great hydrating shampoo wouldn’t hurt either! Don’t assume your summer supply of oils and other moisturizing products will be enough to carry you over into autumn. As it turns out, you need to switch up your products from season-to-season to help your hair adjust to the accompanying weather changes. For the colder months, you’ll want to use denser products than you may have relied upon throughout summer and spring. 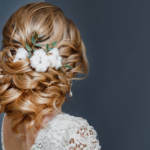 One of the best investments you can make in this area is products that can easily blend with your sulfate free shampoo and conditioner, as well as be used straight out of the bottle. With the help of these tips, getting through autumn with your hair intact should be a bit more of a breeze. Feel free to contact us with any and all questions you have about maintaining your hair health year ‘round!